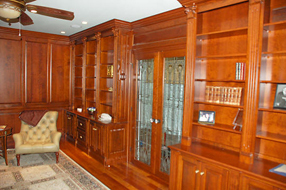 We work with you to design custom library shelving and cabinets to create the perfect environment for your library. 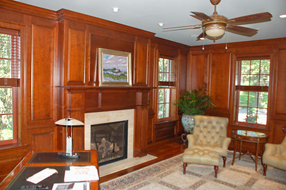 The Chester County area boasts some beautiful residential properties. This historic part of Southern Pennsylvania contains some truly elegant homes. Contact T.L. 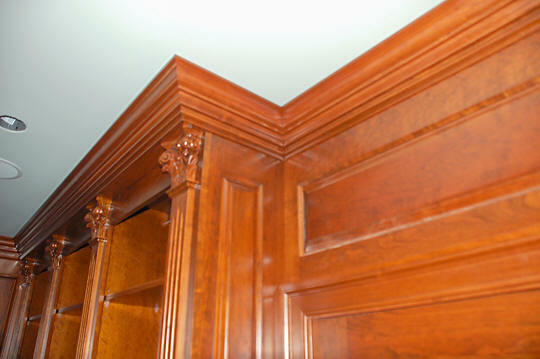 King Cabinetmakers and ask us to install lovely custom library bookcases and wainscoting in your residence. We work with you to design custom library shelving and cabinets to create the perfect environment for your library. 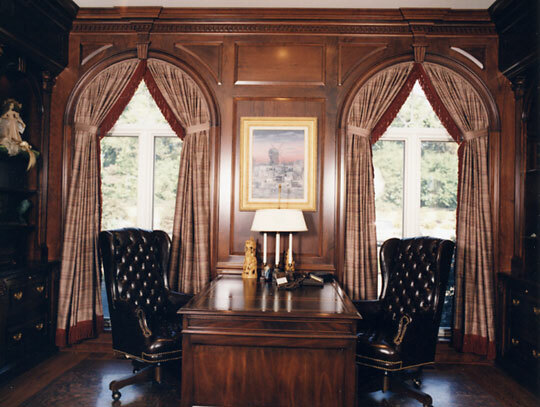 For design ideas, you will find a gallery of some of our past work below. Our fine cabinets and carefully designed home library bookcases can transform an ordinary room into an impressive study or office. 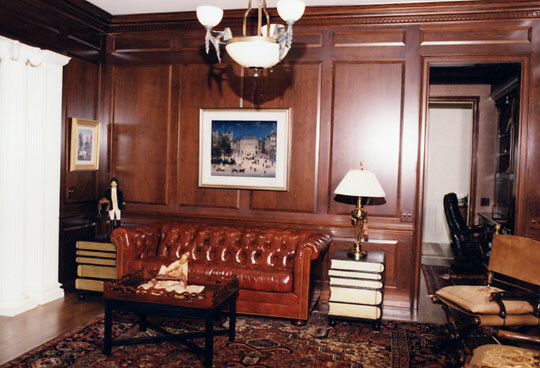 Adding a custom library greatly increases the available options for the use of a den, a drawing room, a bedroom or a residential office. Whether you plan to read, study, surf the Internet or operate a home-based enterprise, you'll enhance the appearance of your real estate by including a custom home library. At you request, in addition to built-in shelving, we can add a tailored computer work station and lovely hardwood wainscoting, too. 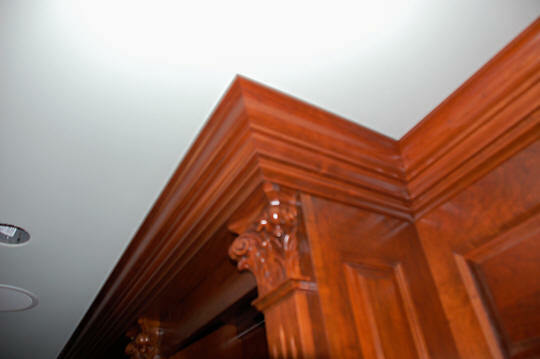 You'll enjoy the ability to customize your property using our attractive cabinetry. T.L. King Cabinetmakers possesses extensive woodworking experience. 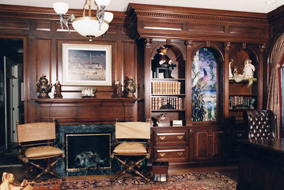 We'll schedule a meeting with you to discuss your available options for installing a unique custom library in your home this year. 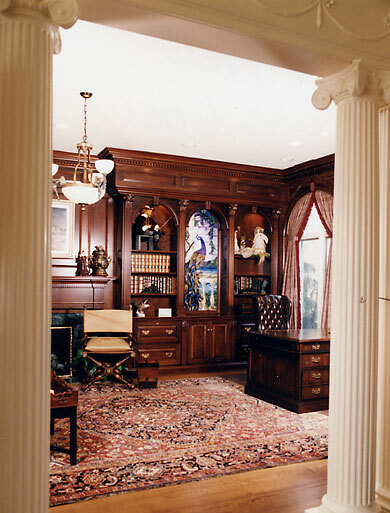 Whether you reside in Philadelphia, Pennsylvania, or the surrounding communities, you can count on our team of skilled artisans to help you create a genuinely stunning custom home library. 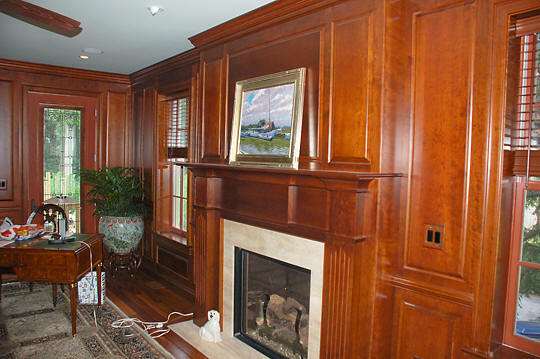 The rich, finely finished texture of polished wooden shelving and wainscoting lends an aura of luxury and refinement to residential interiors. We'll design and install beautiful home library bookcases, shelving, drawers, desks and countertops to enhance the utility of a study, an office or a family game room. 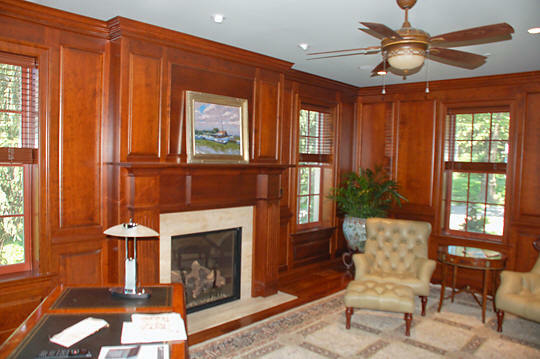 We can also turn a rarely-used hallway alcove into a highly functional area by adding built-in custom library bookcases or window wall units. Upon request, we'll gladly assist you by touring your home with you and recommending locations for adding customized shelving and cabinetry. We proudly stand behind our work. As dedicated craftsmen, T.L. King Cabinetmakers appreciates the long term value well-constructed built-in features contribute to living spaces. If you've always dreamed of enhancing your residence with the luster of fine woodwork, resolve now to take that step this year. 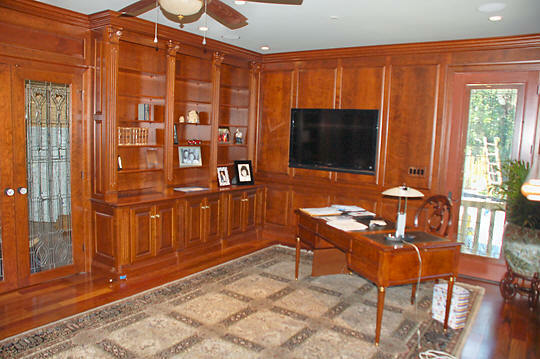 You'll love the compliments you receive when family members and visitors notice your new customized home library! Contact us to schedule an appointment to discuss installing new, elegant custom cabinetry and shelving in your residence. We look forward to serving you!